Why risk tampering with medical records? Home > Medical records > Why risk tampering with medical records? 2. Make it look as if he did something that he did not. But it is way too late. The plaintiff attorney and her legal nurse consultant already have the record and spot the change when they receive a second set of medical records. A charge of spoliation of evidence is added to the suit. What is the impact on the person who tampers with medical records? A medical malpractice claim that includes an allegation of alteration of records may not be covered by a commercial professional or individual’s liability policy. The insurer may reserve its rights to not pay any judgment that might be entered against the provider. Institutional providers participating in self-insured trusts may have similar coverage limitations. Some states recognize a separate cause of action for alteration of medical records, whereas other states deal with it as a jury charge. If the provider admits that he or she has made the alteration, the policy may be completely voided, including coverage for the medical negligence, depending on the state law. An individual who has his or her own insurance policy may find the carrier refusing to renew the policy the following year after the insured was found to have altered records or on whose behalf a settlement was paid in a case involving alleged alterations. Some state regulatory or licensing boards may investigate the healthcare provider. Disciplinary action may follow. The healthcare system that has provided privileges to the healthcare provider may be reluctant to allow that individual to continue on the staff. Those who falsify medical records risk more than just the loss of a malpractice case. Medical boards have been known to suspend or revoke the licenses of health care professionals caught tampering with records. In January 2009, a physician in London lost his license to practice for a year after a disciplinary inquiry showed that he engaged in a sexual relationship with a patient, tampered with and or improperly caused inaccurate changes to be made in her records, and failed to keep accurate records. He also failed to record details of her visits, medical condition, and results of medical examinations and failed to maintain patient confidentiality by improperly disclosing to his lover confidential information related to the care of two patients. 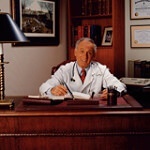 Loss of reputation, shame, guilt, and being exposed as a wrongdoer can all have a profound impact on the individual who altered medical records. A British physician hid her error for 16 years before confessing. When she was 26-years-old and working as a junior physician, she made a medication error that resulted in the patient’s death within an hour. She changed her chart entry to make it appear she had prescribed a smaller dose of the medication than had been ordered. She was questioned by police and later gave evidence at an inquest but did not tell anyone what she had done. In 2001, she could not live with her guilt any longer and wrote a letter to the patient’s family confessing her mistake. After an investigation and a formal written warning, the General Medical Council decided to allow her to continue practicing. In many states, falsification of medical records is also a criminal offense punishable by fines and incarceration, see e.g., California Penal Code §471.5. The Healthcare Insurance Portability and Accountability Act was used to put a Pennsylvania nurse in prison who altered nursing home records. Most healthcare providers who tamper with medical records have a mistaken belief that their actions cannot be detected. The guilt or fear of being found negligent swamps their good judgment. Med League assists attorneys who suspect tampering with medical records by performing chronologies and timelines that identify discrepancies. Please note that our ethical codes prohibit us from working with people who have not yet retained an attorney. I have a US army medical record that has been altered to cover-up a training incident that happened and also what appears to be more than two doctors trying to change records that would help prove that my condition was indeed related to that incident. These records have only been made available to me and many years of denial by the Veterans Admin for my condition have elapsed. How would I pursue with the newly received documents.